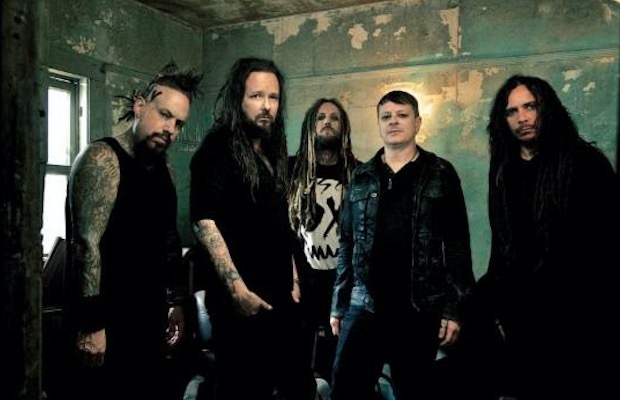 Inching closer and closer to the release of their twelfth studio album at the end of this month, Korn have premiered their fourth single off of The Serenity Of Suffering. The latest tune, “Take Me”, is once again reminiscent of the early, more raw Korn sound, and the message behind the song follows that same blueprint. Lead singer Jonathan Davis has indicated that The Serenity Of Suffering focuses largely on his struggles coping with his inner demons, and notes that “Take Me” specifically deals with his battles with addiction. Debuting the song over at the WSJ, Davis told them that country artist Brad Paisley's song, “Alcohol” was a direct influence in the writing process of “Take Me” . Check out the latest single from The Serenity Of Suffering below! The album will be available on Oct. 21 on Roadrunner Records.